Lavane Gerald Solberg, Age 84, resident of Aneta, ND died Friday, November 16, 2018 at Aneta Parkview Health Center in Aneta. Lavane was born August 29, 1934 the son of Oscar L. and Millie (Aaker) Solberg. He grew up near Aneta and graduated from Aneta High School. He was baptized and confirmed at East Norway Church, rural Aneta. Lavane farmed and raised livestock his whole life. Lavane enjoyed hunting and bowling. 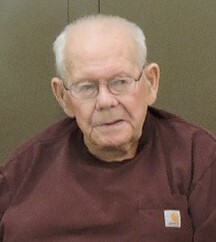 He served on the Ora Township Board. Lavane was preceded in death by his parents and brother Myron. Surviving family members include several cousins. The funeral service for Lavane will be Wednesday, November 21, 2018 at 10:30 a.m. at Stanley-Iverson Funeral Home, McVille, ND. Visitation will begin at 10:00 a.m. Interment will follow at East Norway Cemetery, rural Aneta, ND.